Are my messages encrypted (and how encrypted are they)? How transparent is the application to scrutiny? How much metadata is kept? We’ll go through each question to help you ascertain if the messaging platform you use is secure enough to use for business. Encryption can scramble data so that it is difficult to read to all those who don’t have a decryption key. We don’t want to get into too much detail, but suffice to say that encryption can make your data much more secure than it would be otherwise. While most major messaging applications use encryption, not all of them follow the most secure of practices. For example, solutions like Google Hangouts and Skype encrypt the messages that users send, but they also retain a copy of the encryption keys. This is so they can access the messages sent to collect data for advertising purposes. Unfortunately, this also means that the data will be vulnerable if a cybercriminal manages to make their way onto the application’s servers, or if the government were to issue a search warrant for them. Thankfully, end-to-end encryption is more common with these kinds of apps, where the application holds the keys that encrypt the data. The users also have a key to decrypt the data, meaning that no other external party can access the contents of the messages. Some of these include WhatsApp and Signal. While Skype does offer this option, it isn’t enabled by default. It’s important that your messaging application provider not only is honest about the state of security, but is also evaluated by an independent and impartial expert that comes to the same conclusion. This means that open-source applications are usually more trustworthy, as they have been the subject of much closer scrutiny over the years. 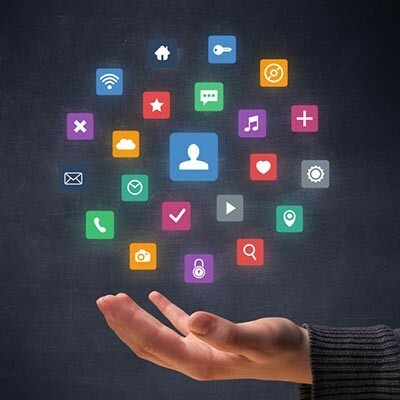 Examples of these applications include Signal, Telegram, and Wickr, while WhatsApp and Facebook Messenger aren’t true open-source, but are based on the same protocol as Signal. An application that is closed-source, like iMessage, trusts the developer entirely to maintain the security of the messages sent. What happens to messages after they have reached their destination and been deleted? In truth, deletion might be the best way to ensure the privacy of important information. Applications that automatically delete messages within a certain amount of time can be great for security. For example, Skype, Telegram, and Signal all have this capability. WhatsApp even goes as far as deleting messages within 13 hours. Not all apps feature self-deleting messages, and to be fair, nobody is stopping the recipient from taking screenshots of messages, either. Thus, security is left to the discretion of the recipient. It’s also critical that your chosen application is protected by the metadata it stores. Metadata contributes to security through user profiling, which stores data of both the sender, receiver, time of communication, IP address, and the device used. Thus, knowing what kind of data is stored by the messaging application will help you best preserve the security of this data. 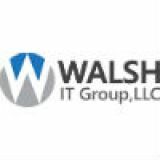 Walsh IT Group can help you implement secure methods of communication for your business. To learn more, reach out to us at (832) 295-1445.